Oxford Indonesia Society (OXIS) participated in Cowley Road Carnival on 7 July 2013 by distributing flyers containing information about Indonesia and its cultures, as well as selling various authentic Indonesian cuisines. 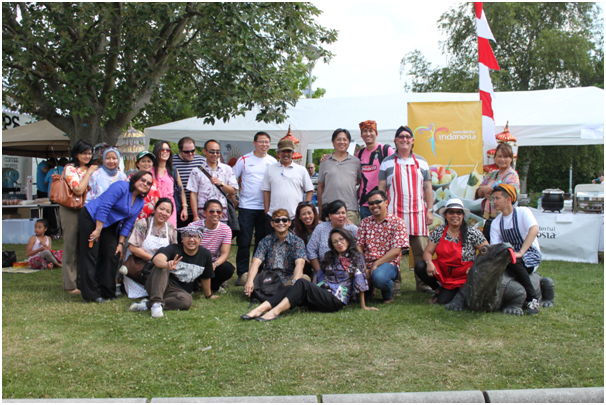 With support from the Indonesian Embassy, OXIS held three stalls at a gazebo in Manzil Gardens to promote Indonesian culture in Oxford. 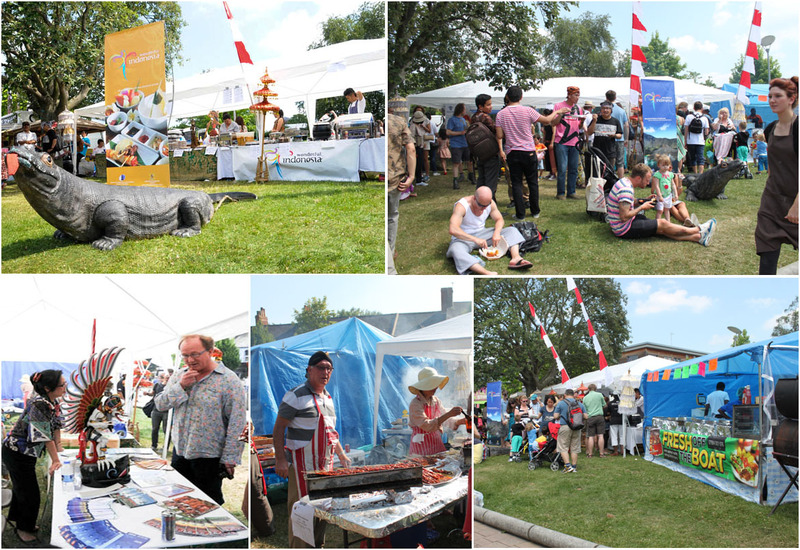 They were successful in reaching out to a lot of Oxfordshire residents and used this occasion very well in achieving their goal of promoting Indonesian cultures. OXIS was selling food together with some Indonesian restaurant representatives from London. They altogether had Special Fried Rice, Vegetarian Fried Noodles, Beef Rendang, Spicy Grill Chicken, Spicy Grill Fish, Chicken and Lamb Satay, Chicken Lemper, Chicken Rissole, Sesame Ball, Kelepon, Filled Bean Curd, Chicken Pasty, and Panada Tuna on the menu. They were successful in attracting people to buy and try unique Indonesian cuisine, and in the end they sold out all the food, gaining positive feedback and high attention from the people. Mrs Yani who was the main cook from OXIS was very pleased with the carnival. “My favourite was when the customers said ‘Could I have the one that explode in your mouth, please?’. They meant kelepon, of course.” OXIS called kelepon as Sweet Bomb in English, thus the impression. People kept coming back, bringing their friends and family for more snacks and desserts. Mrs Yani has always helped Indonesian students with food festivals in Oxford. The Embassy of the Republic of Indonesia in London gave OXIS full support at this event from the preparation until the D-day. They also sent the deputy ambassador, Mr Harry Kandau, and two of his diplomats, Mr Dino and Mr Fadjar, to attend the carnival and accompanied OXIS for the whole day. The success of the event owes to the collaboration of Indonesian students and non-students in Oxford with the support from the Indonesian Embassy as well as help from the City Council. OXIS was pleased with this carnival and hopes to continue to participate in events in Oxford city and university in order to promote Indonesian cultures.